Garlic is not technically a vegetable, but like onions, chives, shallots and leeks, it is a member of the lily. The garlic bulb has a strong flavor when eaten raw so it is usually served cooked and generally is used to add flavor to other dishes. 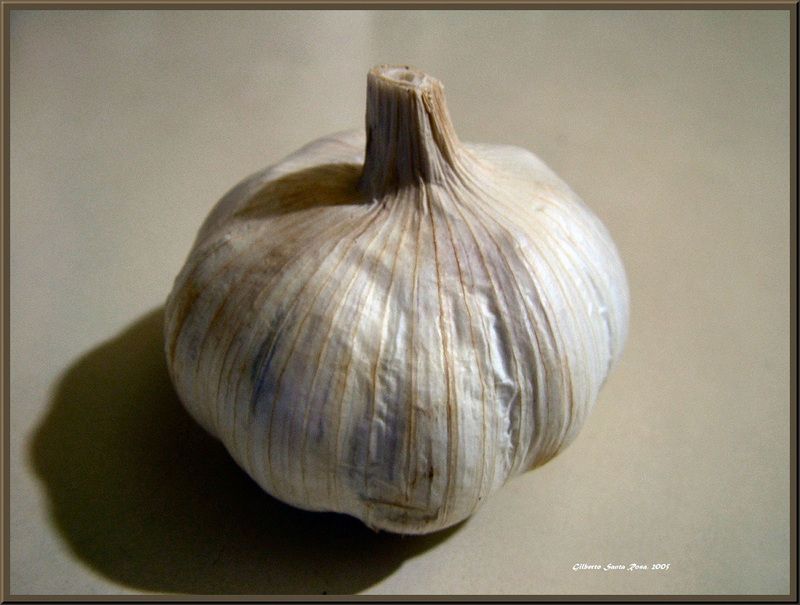 Garlic is commonly used in pasta sauces, stews and soups. It is also a common ingredient in salad dressings. Do not peel or separate, just remove the papery outside layer. Cut off ¼ - ½ inch off the pointed end exposing the individual cloves, but leave the bottom intact. Place on baking sheet and drizzle or brush 1 Tbsp oil over each full head so that it penetrates each clove. Cover and bake at 350° for 20 minutes. Remove cover and bake another 10 minutes or until the bulb feels soft. Allow to cool. Separate the cloves and squeeze or pull garlic from the skins and mash. Add remaining ingredients and chill for four hours. Combine zucchini, peppers and wedged onion. Drizzle with oil; toss to coat. Place chicken and vegetables in roasting pan. Sprinkle with salt and pepper. Sprinkle garlic over chicken and vegetables. Place 1 spring of rosemary on each chicken breast; press lightly to flatten rosemary against chicken. Bake at 450° for 20-25 minutes or until vegetables are tender and internal juices of the chicken run clear (or 170°).